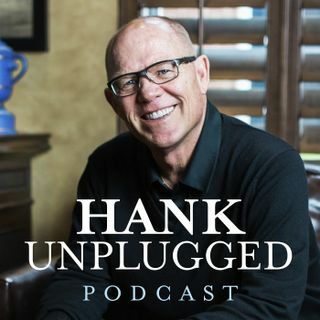 This week, Hank is joined on Hank Unplugged by Dr. Bradley Nassif. Dr. Nassif is one of the preeminent academic experts on Orthodox-Evangelical dialogue and a strong advocate of a “unity in diversity” approach to the Christian faith. This conversation aims to clarify many misconceptions between branches of Christianity and how we might better apply our call from Christ to the Father in His high priestly prayer that we may all be as one. Topics discussed include: is there any hope for ... See More better engagement between evangelicals and Orthodox Christians? (5:30); the orthodox beliefs shared between Eastern Orthodox Christians and evangelical Christians (8:00); the increasing dialogue between evangelicals and Eastern Orthodox Christians (14:30); exploring different perspectives on the Atonement and Incarnation (20:30); underdeveloped theology regarding icons and the connection between Christ’s incarnation and the basis for icons (24:30); the challenges for people who are unfamiliar with aspects of the Eastern Orthodox worship experience (29:00); the symbolic architectural significance of various church buildings and their arrangements (33:00); what do candles and incense in Orthodox churches represent? (40:00); why do so many insist on pitting Holy Tradition against Sola Scriptura? (45:00); the baptismal process and the importance of keeping the gospel clear and compelling for every generation (53:00); the opportunity for internal renewal within Orthodoxy as well as to explain to the world what Orthodox beliefs truly are (58:00); the transcendent importance of the seven Ecumenical Councils (1:09:00); remembering John 17 as we strive for unity in diversity amongst Christians (1:13:00); Sola Fide and the false dichotomy of faith and works (1:15:00).